We are not the type of parents to fill our children's days with multiple after school clubs or extra curricular activities. At least not yet. I'm sure as the boys get older and develop more interests our planning for things will need to change. But right now we happily go along with our weeks without rushing to lots of post school activities. We have tried classes in the past with M. He's tried basketball for a term and gymnastics. Both of which after lots of tears and talking we got him to take part in. My child may be loud most of the time but others he can be painfully shy and self conscious. Not that people ever believe that. After these failed attempts and stressful classes we did not push anything on M. However last year he asked to do KungFu. We then dutifully looked about classes. We found one local to us that runs classes through the week but also Sunday morning. Which is a much better fit for our family. Since then we have seen our child go from one who does not want to partake, is shy and just stands still or at times he is willing he is chatting jumping and generally not listening. 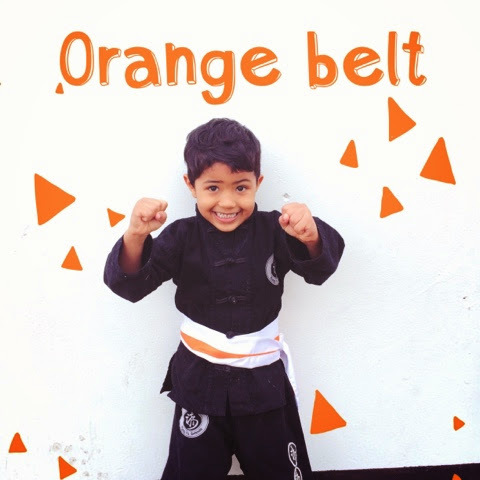 Now he attends class, listens to his teaches, is able to answer questions has the confidence to join in group activities and is being able to take in and retain the lessons he is learning. 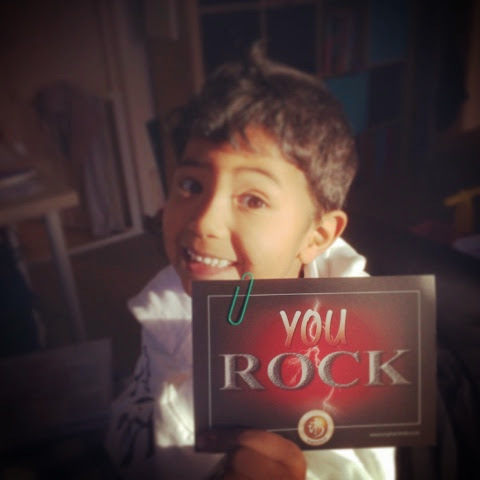 He now has recieved on several occasion the "you rock" card. This is given out to the class member who tries their hardest. Not necessarily the best in class but the one who is listening, improving, learning and trying. It makes me so proud. I'm so pleased we are able to provide M with this chance to try something like this. Something he enjoys. It's not cheap (but which kids activites rarely is) but it's teaching him some great values. For now it works for us. I so enjoy your stories about your lovely family! I'd like to suggest Beaver Scouts for your lively M when he turns six. Great fun and great value. Our Scout Group charges only £2 a week for all ages.